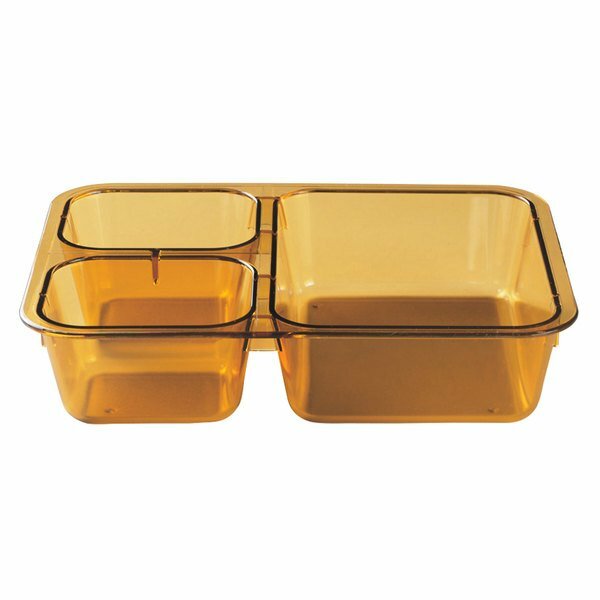 As part of your tray on tray meal delivery system, deliver hot and cold foods on one convenient unit with this amber Cambro 853FH150 meal delivery insert tray. It's made with a heat resistant plastic material that is perfect for use in correctional facilities, hospitals, or assisted living communities. This Cambro 853FH150 insert tray will fit eight per standard sheet pan or in an 18" x 26" wire rack for easier storage during cook-chill applications. It's designed specifically for use with a Cambro tray on tray base tray. Carlisle 4398100 Heavy Weight Melamine Variegated Left Hand 6 Compartment Tray - 10" x 14"